Over the last few months, Ladakh remained digitally cut off from the rest of the world due to OFC failure near Zojila. The worrying part is that it will be restored only when the road is cleared. Till then, the operation and development of business will be hindered, and it does not appear to be an issue that will be resolved soon. Amidst the ongoing problem, we should not forget that we lack collective effort, be it on the part of civil society or the leaders. Surprisingly, the issue has not been raised collectively though everyone is hit. If the public makes no demands and legislators go on with their half-hearted approach, we will continue to have our internet in its current sorry state. Ladakh is nowhere close to comfort when it comes to the state of digital connectivity, leave alone 3G and 4G. At present, the smart phone you carry is more than a communication device but for no use. Sadly, the hollowness of ‘Digital India’ can be seen day in and day out. Cut off from the rest of the world for 4 -5 months, how can one think of technology's integration into nearly all aspects of life. The essence of internet connectivity has lost its meaning. On the one hand, we talk about cashless economy, and on the other, we are cut off for several months. How pragmatic is that? Telecom operators have been unable to adequately ramp up infrastructure and technology, the reason being what they call 'financial viability'. BSNL has approximately 1.4 lakh users out of which nearly 1.3 lakh are mobile customers, and in winter it falls to 90,000 users. There are 3705 broadband, 312 EVDO, and 700/800 Wi-max users. On the other hand, there are around 65-70 thousand Airtel users in the summer season, which drops down to 40-45 thousand in winter. Digital India may continue to elude us but we need to find out an alternative for this long pending issue. 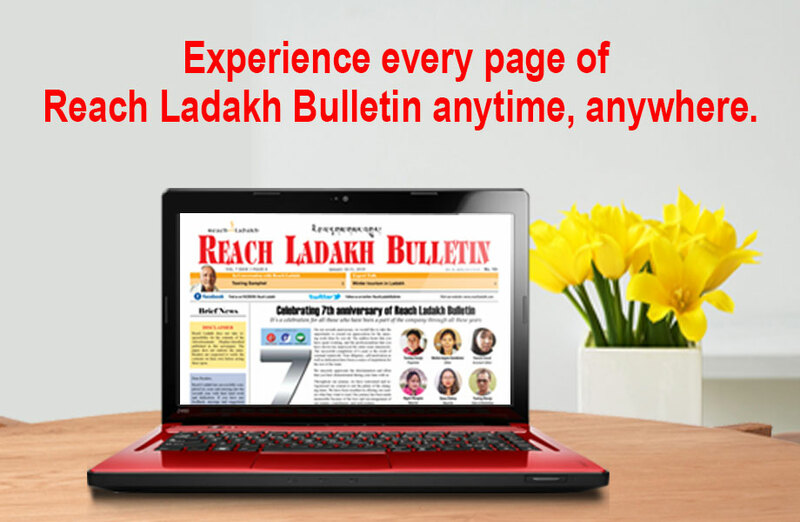 If the situation does not improve soon, the idea of Digital India could be just a fantasy for Ladakhis, in the name of vote bank. What else? Though some projects are on the way, they will take time for completion. VTL is laying a fresh OFC from Himachal to Leh, which will hopefully be completed in the next two years. Secondly, a plan is there with the PGCIL( Power Grid Corporation of India Ltd) to lay OFC through Srinagar. Even BSNL is laying a fresh OFC from Srinagar, which was initiated during the year 2015-16 and will be completed in 2018-19. A proposal for the new OFC via Gurez, Sankoo, Beema, Batalik, Hemis Shukpachan has been approved but the work has not yet commenced. We should not forget that to be able to promote greater social progress in our society, it is imperative to increase access to information and communication technology universally. “Internet blackouts” have also put a full stop on freedom of speech and freedom of access to information. While one cannot deny the importance of digital infrastructure in the present age, the irony is that we are already cut off by road, and now we are digitally cut off. Moreover, I would argue that competition is the key. It is time to realize that ignoring the issue like this will not go well to resolve our problems. This debate brings certain compelling arguments to the table. For how long shall we keep our mouths shut? Isn't there an alternative? How can a strategically important area be cut off for several months? Isn't it denying the right to freedom of speech and expression and hence damaging for democratic institutions? For how long, financial viability will be an issue for Ladakh?